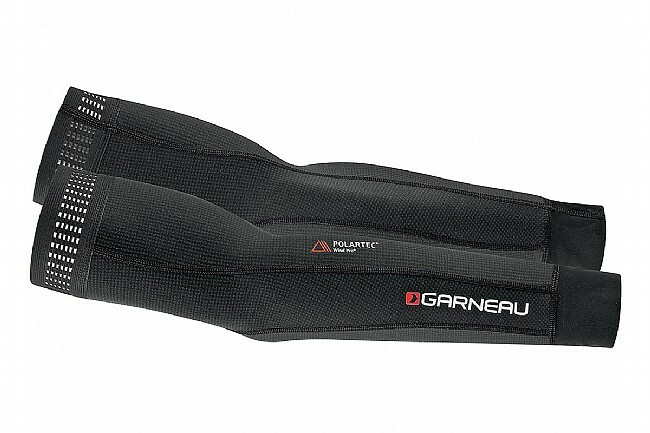 Using Polartec® Light Wind Pro fabric, Louis Garneau has made these arm warmers lighter and thinner than traditional fleece warmers without compromising insulation. Tightly knit proprietary yarns in a single layer are what keep the wind out and heat in while allowing the Wind Pro Arm Warmers much more breathability than multi-layer options. Their pre-shaped ergonomic fit includes articulated elbows and flatlock seams for optimum comfort and mobility, and they sit securely beneath your favorite jersey thanks to silicone grippers at the biceps.